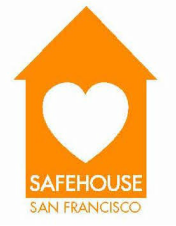 Stacy has held prior positions at SafeHouse as the Operations Intern and On-Call Residential Counselor. In addition, she has volunteered with Refugee Transitions, Project Read (San Francisco Pubic Library), Tax Aid, Equality California, and SFWAR. Prior to working at SafeHouse, she spent 11 years in the art auction business. Stacy holds a Bachelors of Arts in Art History from Mills College and certificates in Diversity & Social Justice and Critical South West Asia and North Africa Studies from City College of San Francisco.